There’s no instant cure to make your child feel better. It doesn’t matter if they have a cold, headache or a cough, when your child feels sick it can be a heart-wrenching time. But while you can’t wave your magical want to heal them, you can help your sick child feel more comfortable. If you’re concerned about your sick child, you should check with your general practitioner (GP) or paediatrician first. Before giving your child any medicine or if you suspect the flu, ask your GP for advice. The after hours GP Healthline is also available in Australia on 1800 022 222. How your child can avoid getting sick. ALT: Mum holds and comforts sick child with dummy. Every parent wants to do their best for their child. When your child’s sick that can mean holding their hand or giving them cuddles. A simple gesture like sitting with them or reading a book can make all the difference. Being there for them can make your child feel better. As the cliche goes, rest is often the best medicine. Children need between 10 to 14 hours sleep a night. 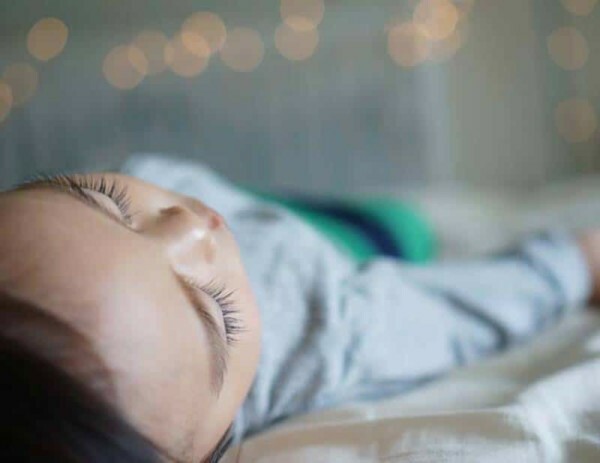 When they’re unwell, your child may need even more sleep. So, turn off the digital devices and the television. Let your child’s body and mind heal with some well-needed rest. playing “hospital” with sick toys. This will help to take their mind off how they’re feeling. Don’t wait until your child is ill to show them how to stop spreading germs. However, when they’re unwell, it’s a good time to remind them and yourself of how you can reduce the spread of germs. Starting good habits early and reinforcing them will help contain disease. It can also prevent your child and you from getting colds, coughs and even fight against the spread of the flu. You should also disinfect the surfaces of your home regularly and consider quarantining your sick child if you have siblings. But don’t worry if you can’t prevent the disease from spreading in your household. Many colds and illnesses are contagious well before symptoms arise. Keeping a diary up to date isn’t easy, but with a medical diary you don’t have to rely on your memory for everything. Ever go to the doctors and wonder if you’re getting the timeline of the illness right or leave and realise you forgot to mention something important? Collecting this information can help your GP diagnose the illness and determine the right course of action to help your child feel better. 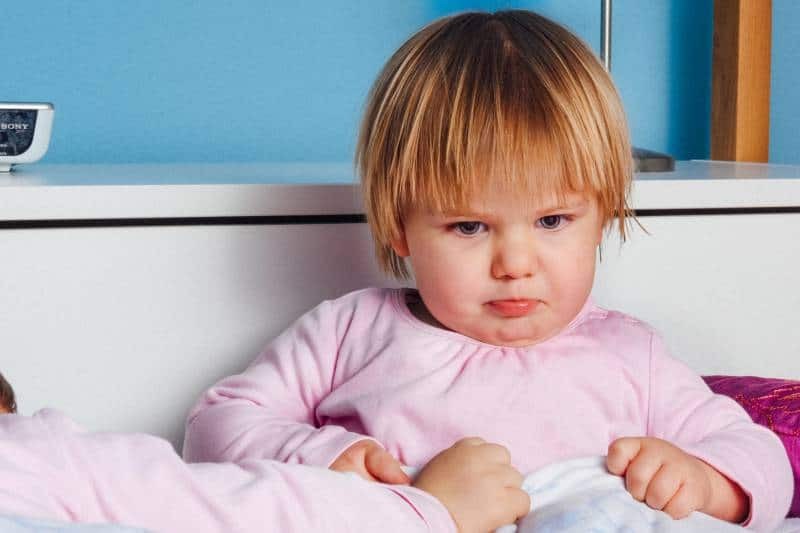 ALT: Young child sits up in bed pouting. When a child feels sick plenty of rest can help them feel better. TITLE: When a child feels sick rest helps. A home care first aid kit is not just good for emergencies like falls and scratches, it can also help in times of colds, headaches and coughs. You can purchase a first aid kit for your home that comes with all the essential items you need from your local pharmacy or chemist. A well-stocked home care first aid kit should also be kitted with a reliable digital thermometer. A digital thermometer is handy when dealing with sick children. You’ll want to keep an eye on their temperature at regular intervals to make sure it doesn’t go too high or to know when it breaks. 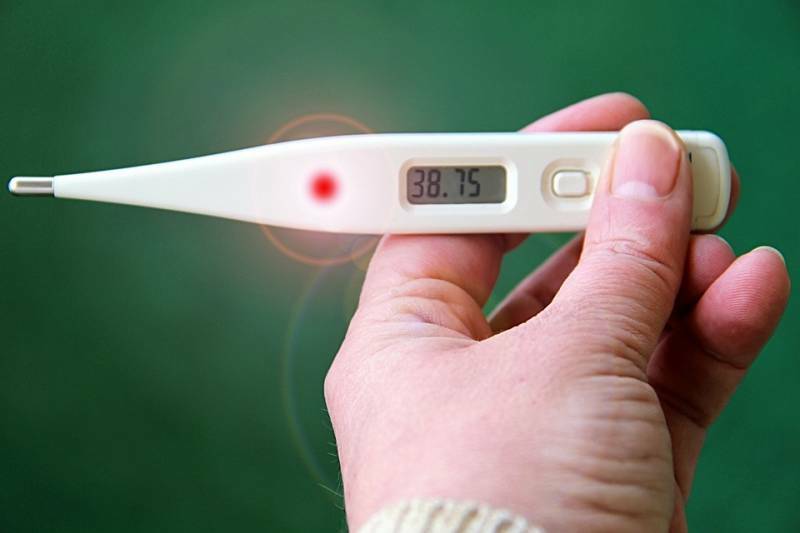 A temperature of 38 Celsius or higher is considered a fever in a child. Increasing the body’s core temperature is the body’s natural reaction to fight germs and infections. Depending on the length of the fever and your child’s discomfort, you should decide whether or not to give them paracetamol or ibuprofen. How much you give will depend on the age and weight of your child and advice from your GP. The goal is to make your child feel comfortable. Most liquid medicines containing paracetamol or ibuprofen need to be stored in a cool environment like a fridge, but it doesn’t hurt to add it to your first aid kit checklist. You’ll want to keep it on hand and regularly check for expiry dates. 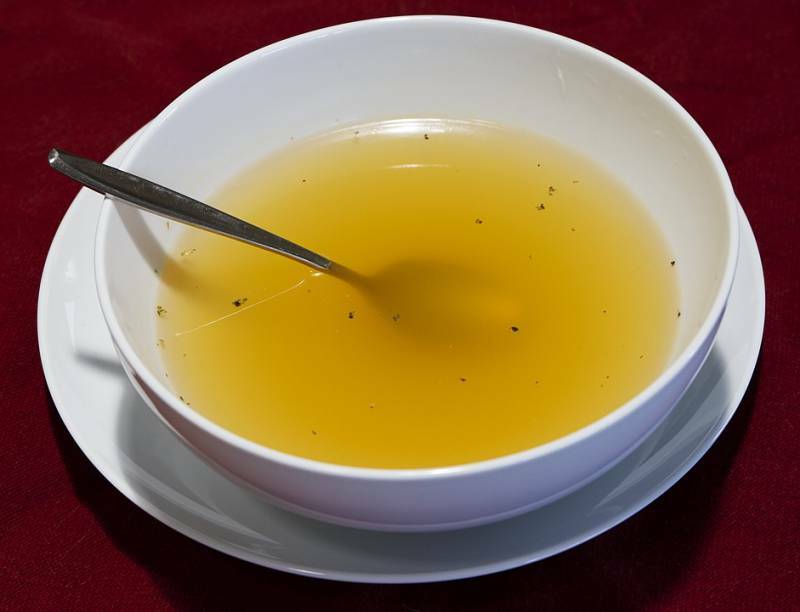 Avoid close contact with other sick people. Maintain a daily personal hygiene routine. ALT: Child at Petit Early Learning Journey eats a nutritional meal to avoid getting sick. We often get asked by parents if they can take a sick child to daycare. Every daycare or carer will have their own policies for dealing with sick children. Generally, if your child is ill, we ask that you keep your child at home where you can give them the attention they need. You should ask your daycare or child care centre about their policy for sick children. 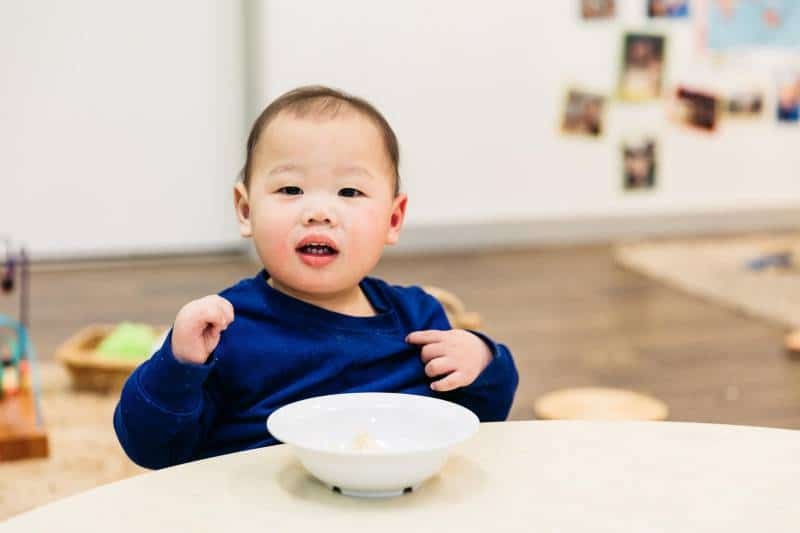 Petit Early Learning Journey’s sick child policy is outlined in our Family Handbook. You can download it now or book a tour to visit your nearest centre.